Murder by Gaslight: Margaret Howard. Mrs. Lavinia Wolf, who ran a boardinghouse in Cincinnati, was working in the kitchen on the afternoon of February 2, 1849, when Mary Ellen Howard, one of her boarders rushed in from the hall, gasping for breath. Her hands were on her throat as blood gushed over them. “Mrs. Wolf,” she said weakly, then fell to the floor and said nothing else. 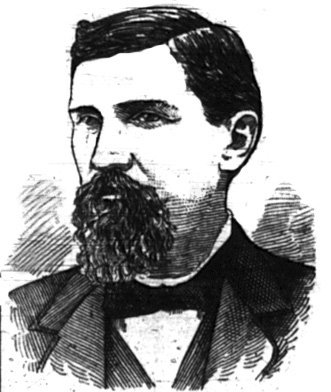 Mrs. Wolf called for Captain John Howard, who she believed to be the woman’s husband. 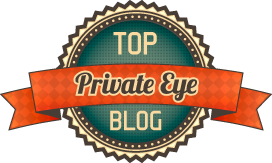 Howard ran downstairs and knelt over the dying woman saying, “Mary, Mary, who did it? Tell me quick, I’m a ruined man.” When he realized that she would not recover he said, “I know the murderer.” Then ran upstairs to get his knife. Not far from the Wolf house, attorney John L. Scott saw a woman he knew hurrying down the street. It was Margaret Howard, one of his legal clients. Several years earlier he had helped Mrs. Howard prepare divorce papers, but in the end, the divorce had not taken place. When he passed her on the street she appeared extremely disturbed, he thought she hadn’t recognized him, but she turned and called to him. The murdered woman was named Mary Ellen Smith but she had been calling herself Mary Ellen Howard, wife of Captain Howard. 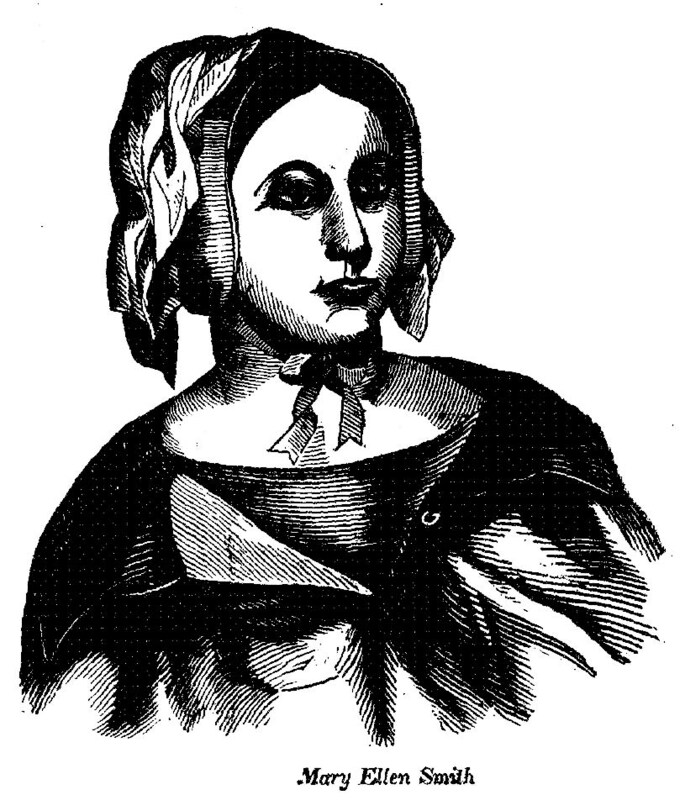 The murderess was Captain Howard’s legal wife, Margaret Howard. Margaret Howard was born Margaret Seely in Dunham, Quebec, in 1826 and had endured a somewhat unstable upbringing. Her mother died when Margaret was nine years old, and she was sent to live with an aunt in Ohio. When her father remarried, he came and got Margaret but soon after sent her to boarding school in Peoria. While living in Peoria, she met Captain John Howard and fell in love. He persuaded her to marry him and in 1841 they eloped to Cincinnati. She was 15-years-old, and he was at least eight years older. In Cincinnati, they lived in poverty in a cheap Front Street hotel. She learned that Captain Howard was a professional gambler, and learned first hand the insecurities of that occupation. He was not really a captain, in 1833 he was a bartender on a steamboat and when he boat became grounded on a sandbar, and the captain and officers went for help, leaving Howard in command. He gave up his command soon after but decided to keep the title of Captain. 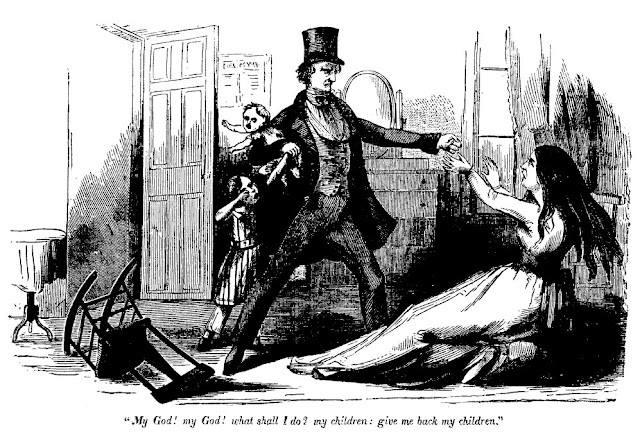 Howard always had a wicked temper and after the birth of their son in 1842, he began beating his wife. He called her a damned whore and brandishing a bowie knife, threatened to kill her. Eighteen months later they had a daughter, but Howard’s temper had gotten worse and Margaret found his treatment of her intolerable. She took the children and went back to her family. John and Margaret agreed to a final separation; he gave her $500 cash and a $500 note that he knew was worthless, left her with the children and what little furniture they had. Margaret moved to Cleveland with her sister and opened a boardinghouse. Soon after, Captain Howard decided that he missed Margaret and wanted her back. He promised to change his ways and begged her to return to Cincinnati. She relented and went back to him. But he did not change. From then on there was nothing for Margaret but suffering, sickness, destitution and mental alienation. Finally, she left him again and went to live in a boardinghouse. She lived on what she could earn sewing and begging and fed the children on scraps from the landlady’s table. While she was living there, Howard stole her children and took them to Kentucky. She chased after them and managed to get them back through legal means. Back in Cincinnati, she and the children moved from room to room trying to hide from Howard, but he would always find them. One at a time, he kidnapped the children again. 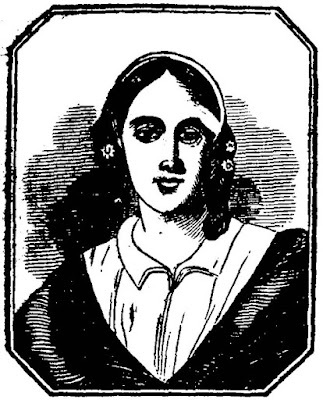 Howard continued to dog her, spreading rumors that Margaret was a fallen woman, ruining her reputation. Meanwhile, he had moved into a boardinghouse with Mary Ellen Smith and she was posing as his wife and raising the children. Someone at Margaret Howard’s new lodging challenged her identity saying, “Are you Howard’s wife or do you only pretend to be? Are you the woman I saw mentioned in the paper the other day as having a fuss about some children?” Margaret said the reference to her children set her brain on fire. She brooded about the children as she worked that day and after work, she went to Captain Howard’s boardinghouse and asked to see Mrs. Howard. Mary Ellen Smith came downstairs to see her. “Are you Mrs. Howard?” Margaret asked. With that, Mary Ellen reached forward to grab her and Margaret drew a knife and plunged it into Mary Ellen’s neck, severing her jugular vein. Margaret rushed from the house and soon after meeting Mr. Scott on the street, she turned herself in to the marshals. In May 1849, Margaret Howard was tried for the murder of Mary Ellen Smith. She did not deny committing the murder but pled not guilty by reason of insanity. Her attorney argued that the years of physical and mental abuse by Captain Howard had driven Margaret insane; she was laboring under monomania, a delusion in reference to two subjects—her husband and her children. On May 5, the jury returned a verdict: “We, the jury, find the defendant not guilty as indicted, by reason ho her being insane at the time of the commission of the act.” The announcement was followed by loud and continued cheers and applause in the courtroom. Margaret’s attorney suggested to the court that she was in a state of mind which made it absolutely necessary for her future happiness that she should be sent to the State Lunatic Asylum. “Examination of Margaret Howard, The Cincinnati Murderess,” National Police Gazette, February 17, 1849. “Mrs. Margaret Howard was Acquitted,” Huron Reflector, May 8, 1849. “The Cincinnati Murder,” Boston Evening Transcript, February 14, 1849. “The Cincinnati Murder,” Commercial Advertiser, February 12, 1849. Trial of Mrs. Margaret Howard (Cincinnati: , 1850). “The Trial of Margaret Howard for the Murder of Mary Smith, Alias Howard,” Western Star, May 4, 1849. “Trial of Margaret Howard at Cincinnati, For Murder,” National Police Gazette, May 12, 1849.